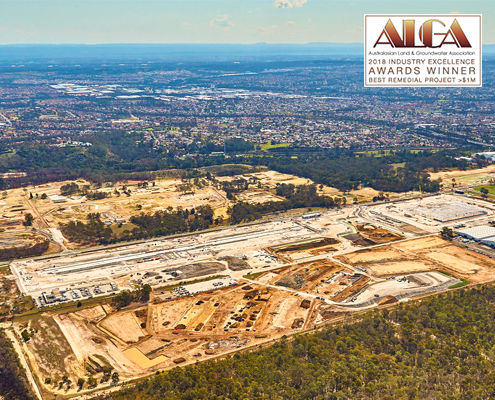 Liberty Industrial’s Moorebank Intermodal Terminal Demolition and Remediation Project was awarded Best Remedial Project (>$1M) at the 2018 ALGA Annual Industry Excellence Awards. Liberty Industrial’s PKCT Stacker & Reclaimer Project was shortlisted as a finalist in the 2018 World Demolition Award in the Industrial Demolition Award Category. 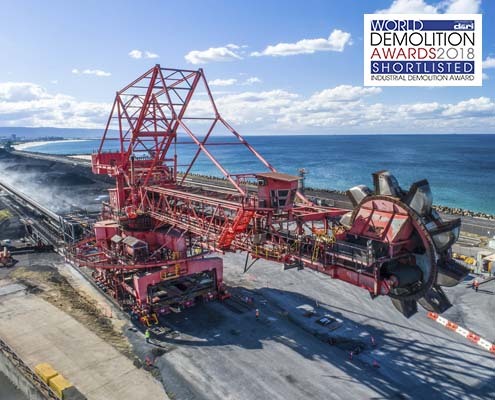 The project involved the demolition of a stacker and reclaimer at the operational Port Kembla Coal Terminal to make way for new machinery. Liberty Industrial’s Harbour Control Tower Deconstruction Project has been shortlisted as a finalist for the 2017 World Demolition Awards in the Urban Demolition Award category. The project involved the removal of a Harbour Control tower using remote controlled excavators and a mast climbing work platform system. Liberty Industrial’s Duck River Bridge Dismantling Project won the Contract of the Year under US$1 million category at the 2016 World Demolition Awards. The project involved the removal of a redundant 70m single span pipe bridge at the former Clyde Refinery. 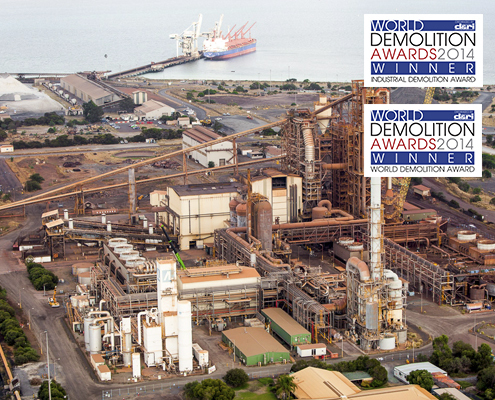 Liberty Industrial’s Clyde Refinery Removal Project was shortlisted as a finalist in the Contract of the Year over US$1 million category at the 2016 World Demolition Awards. The project involved the demolition and removal of an entire oil refinery facility. 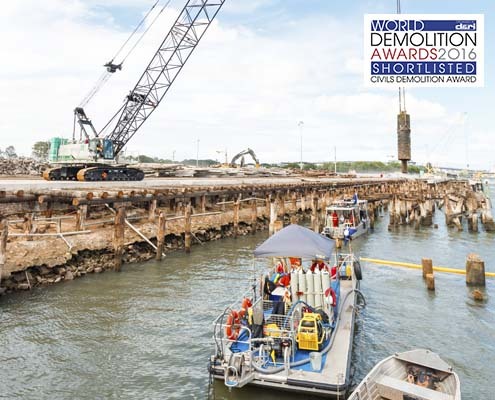 Liberty Industrial’s Hamilton Wharves Demolition project was shortlisted as a finalist in the Civil Demolition Award category at the 2016 World Demolition Awards. The project involved the removal of more than 18,000m2 of wharf structure including over 1900 piles. 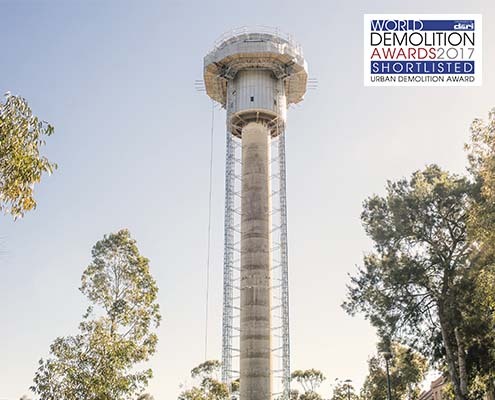 Liberty Industrial’s Omega Tower Demolition project was awarded the Explosive Demolition Award at the 2015 World Demolition Awards. 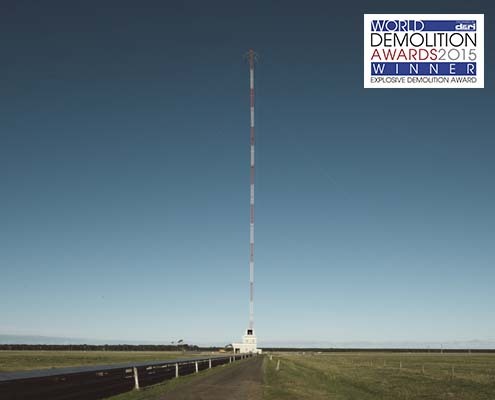 The project involved the controlled explosive demolition of the tallest structure in the Southern Hemisphere, a redundant Naval Communications Tower. 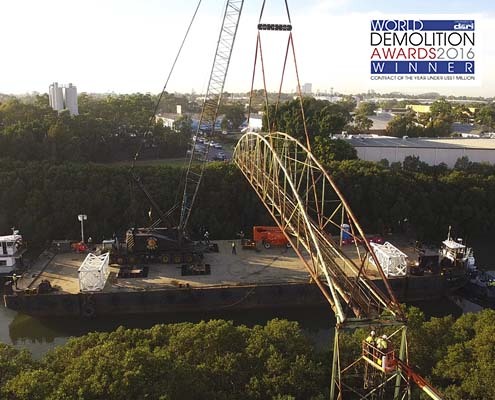 Liberty Industrial’s Garden Island Hammerhead Crane Deconstruction project was shortlisted as a finalist for the 2015 Contract of the Year over US$1 million. 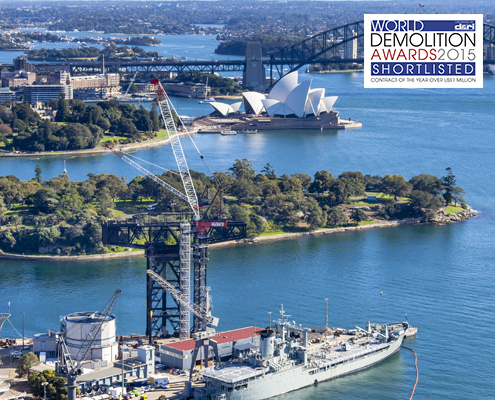 The project involved dismantling the largest dockside crane in Australia and the salvage of heritage items for the Department of Defence. 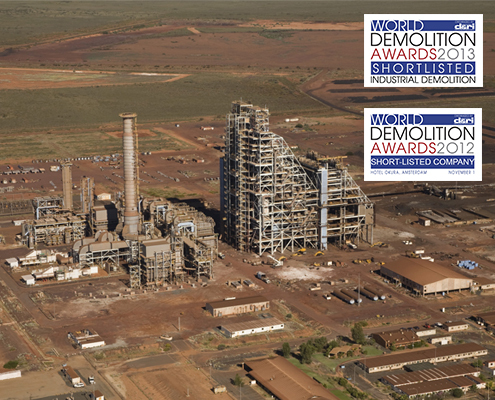 Liberty Industrial was awarded the Industrial Demolition Award at the 2014 World Demolition Awards. The project was also awarded the 2014 World Demolition Award, an award recognising the best of the best across all 2014 award categories. The project involved the deconstruction of a redundant smelting facility in Western Australia. 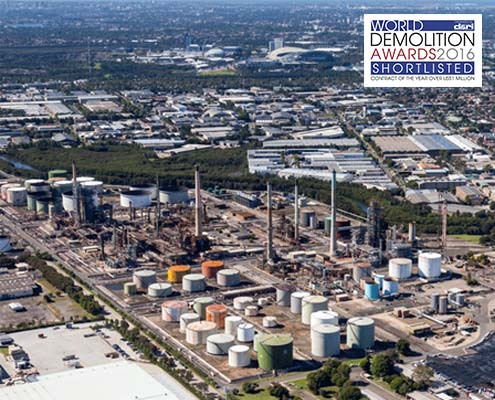 Liberty Industrial’s Boodarie HBI Closure Project was shortlisted for the Industrial Demolition Award in 2012. Stage 2 of the project was shortlisted in the Industrial Demolition Award category again in 2013. The project involved the demolition and removal of BHP Billiton’s Boodarie Hot Briquetted Iron Plant.